Mithali Raj is a professional Indian cricketer, born on 3 December 1982 in Jodhpur, Rajasthan, India. She captains the Indian Women’s Cricket team in Test matches and ODIs. Mithali is considered one of the best women cricketers to hail the game of cricket. She has the highest total runs of anyone in women's international cricket and the only cricketer to surpass the 6,000 run threshold in Women’s One Day Internationals. To top it all off, Mithali is just not a batswoman but also a good bowler, specializing in Right-arm leg breaks. Mithali started playing cricket at a very young age of 10, she and her elder brother were coached cricket during their school days. She started off by playing domestic cricket for Railways and emerged out like a star later on. Mithali made her ODI debut on 26 June 1999 against Ireland and scored a cracking 114 runs. On 14 January 2002 she made her Test debut against the likes of England at Lucknow, India. Unfortunately it wasn't meant to be a dream debut and she was run-out for a duck. Raj made her T20 debut on 5 August 2006 against England, scoring a 28 off 37 balls. India won the match by eight wickets. It was no doubt that Mithali had great talent and was the one of the most promising players in India but she took her game to the next level to become the world’s finest cricketer. She broke Karen Rolton record for the highest individual score in Test cricket ever to be scored. She smashed a wall of 209 runs, scoring 214 against England in theri final match at County Ground. Mithali led India to the 2005 World Cup final but was defeated against Australia. She was also a big reason why India won Test series against England. The Indian team finished the year on high note by winning the Asia Cup. 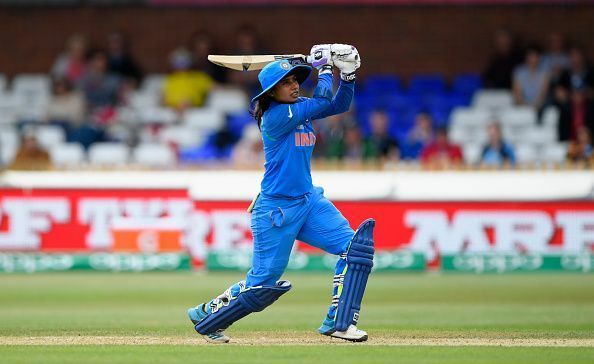 Mithali talent and sheer skill for the game contributed to the Indian team greatly. She was honored by Arjuna award in the year 2003. The Indian skipper also tops the batting score board according to ratings. She has the ability to score quick runs and stay calm and composed in critical situations. Mithali suffered from typhoid during the CricInfo Women's World Cup in 2002, which greatly stagnated India’s progress. Mithali held record for the highest individual score by any Indian women cricketer in a world cup match, scoring 91 off 114 balls. The record was later broken by her teammate Harmanpreet Kaur. Mithali is all time leading run scorer in all formats of cricket for India. She also has the record of scoring seven consecutive half centuries. The Indian captain also holds the record for most consecutive WODIs played for a team.